We Love Role-Play has a new home and Miamai is there with a wonderful new creation by our mad hatter, the Precious Hidden Cap! Pill has crafted a delightedly devious cap that hides a secret just hinted at by the two points of horn peeking through! Beautifully crafted of snake skin, engraved metal, and precious gems the Precious Hidden Cap comes in 3 versions, Glare, Obscure, and Sanquine. 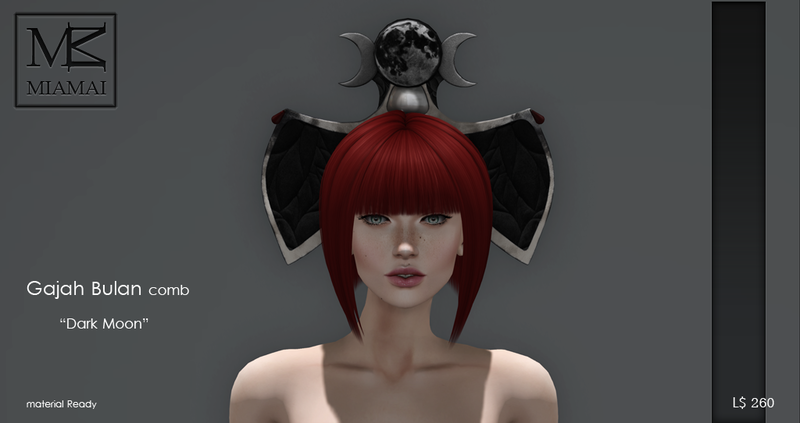 Exclusively at We Love Role-Play the Precious Hidden Cap is 50% for the duration of the event. 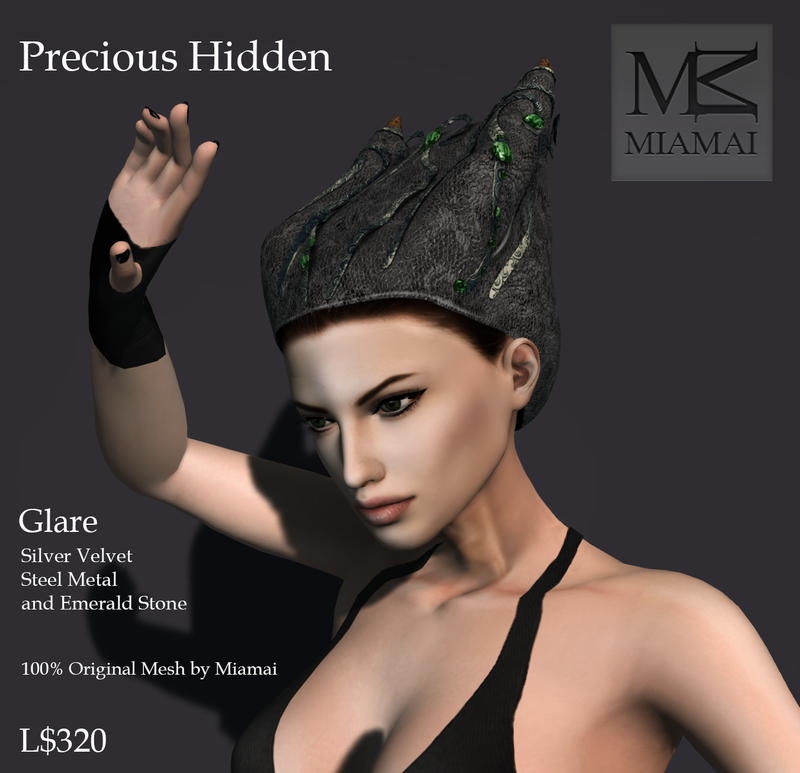 *100% Original Mesh by Miamai, unisex, no transfer, and comes with a HUD for resizing. Miamai Black Label presents Spirit Bird. This unique gown and headress was created for Miss SL Australia, Sakura Sugarplum and was worn by her as the Australia National Costume. Spirit Bird pays homage to the native Aboriginal Tribes of Australia and is decorated with hand painted symbols that are part of the Indigenous Australian’s rich and varied history. Each symbol has meaning such as water snake, the sun, and walk in the desert. Beautiful in shape and heritage Spirit Bird is a one of a kind gown, 100% original Miamai mesh, materials, standard sizing, and available now at Miamai. Miamai is having a huge sale! 50% off the Luxe Collection, Formals, Shoes, and Accessories! The 50% off sale starts now and runs until April 24th 2015! Here is your chance to collect those items that has been on your wish list! 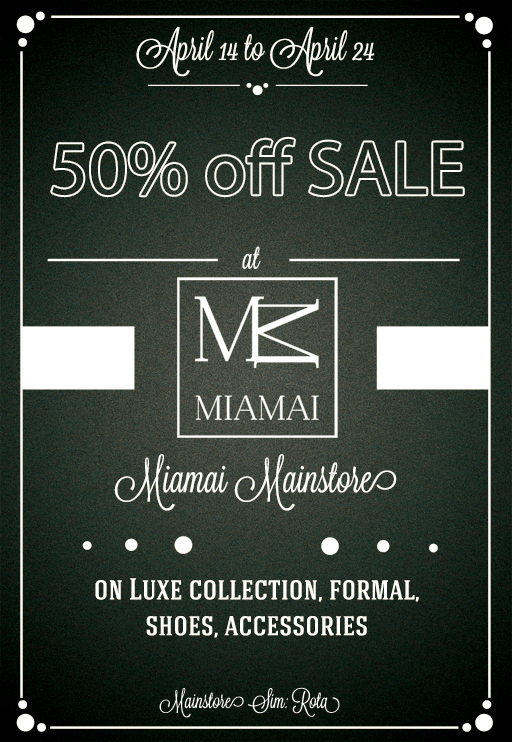 This sale is only at the Miamai Mainstore and only for a limited time! 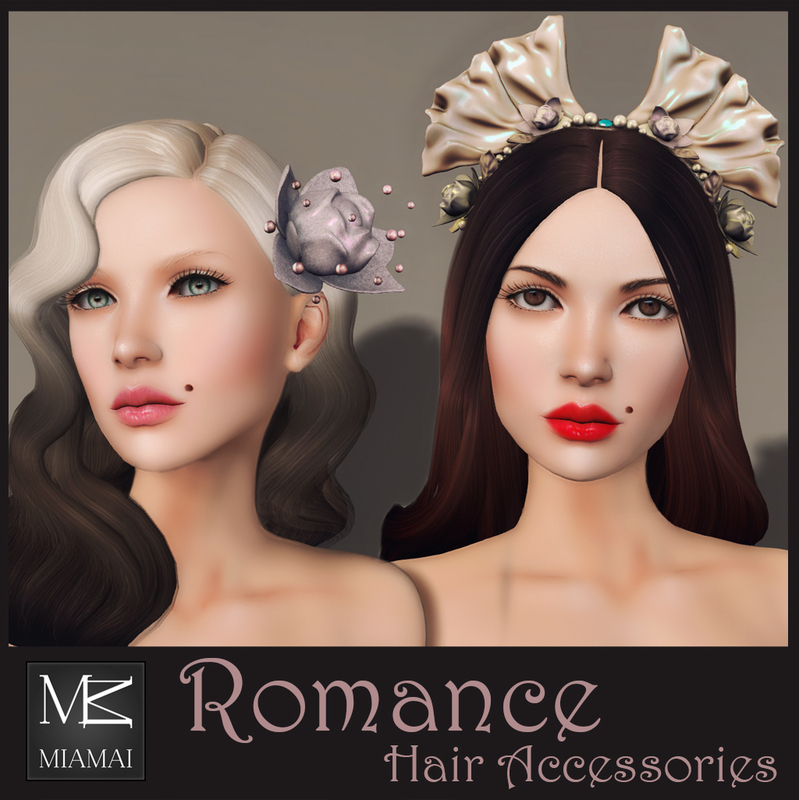 We ❤ RP is open and Miamai introduces the Gajah Bulan Combs in Dark Moon and Silver Moon. Beautiful and mystical these combs celebrate the phases of the moon, wisdom, femininity, and knowledge passed down through generations. Worn as a statement piece, rp accessory, or for your ritual under the moon Gajah Bulan will find an essential place in your wardrobe. Gajah Bulan Combs are a 100% original mesh creation of Miamai, materials, resize via HUD, and exclusively at We Love Rp! 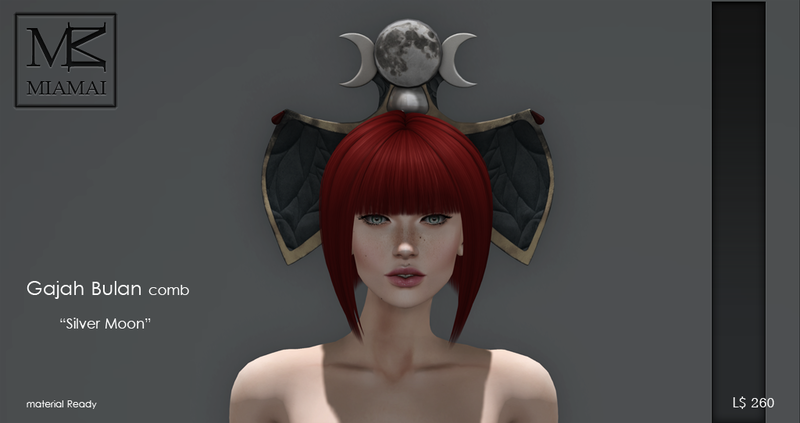 Miamai has two versions of the Subject Imperial Hats at The Fantasy Collective this month. It is the industrial themed round of The Fantasy Collective and our mad hatter Pill had a bit of fun designing these brimless stovepipe hats! Each version has a tall leather stovepipe trimmed in metal then adorned with mechanical ornamentation complete synthetic black dreads secured at the nap of the neck with a re-purposed air filter! 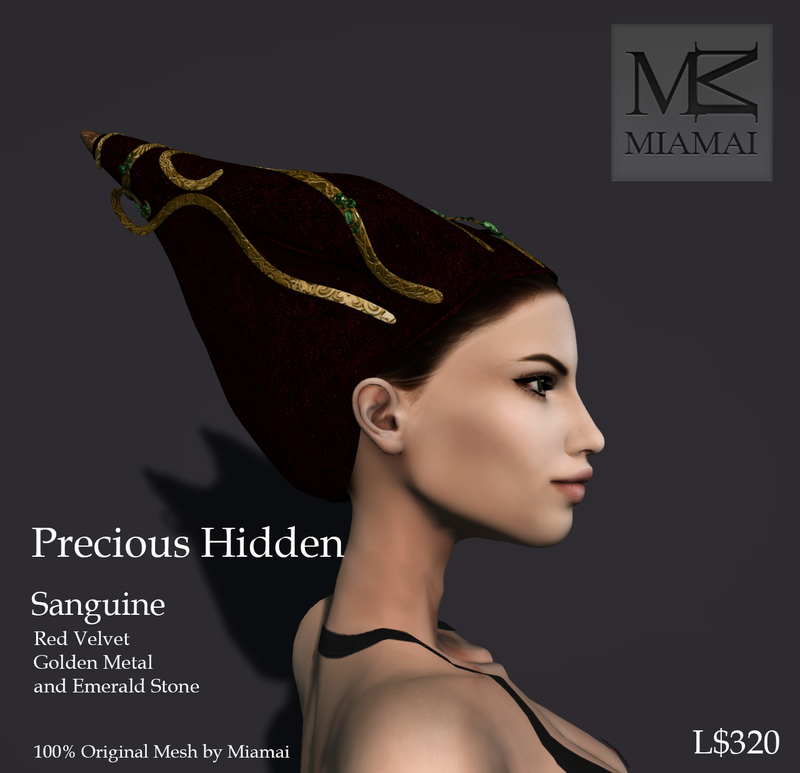 Subject Imperial hats are non rigged 100% original Miamai mesh, materials, and comes with a resizing HUD. Miamai is delighted to be in the February round of Shiny Shabby, a shopping event that is a dream come true for lovers of all things vintage-themed. 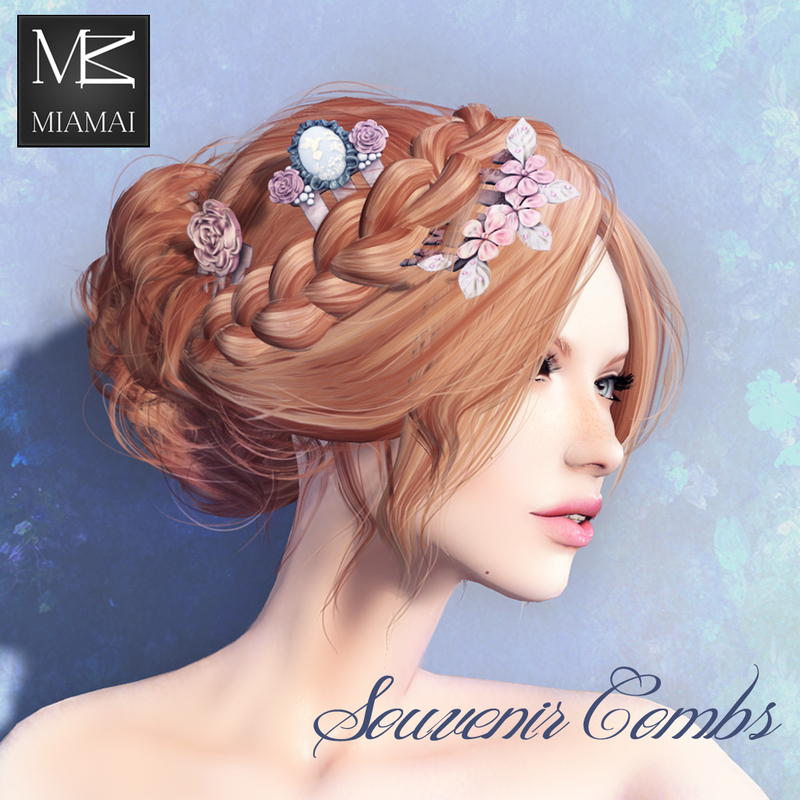 For Miamai’s first time participating Monica has designed a beautiful collections of antique inspired hair combs, the Souvenir Combs. 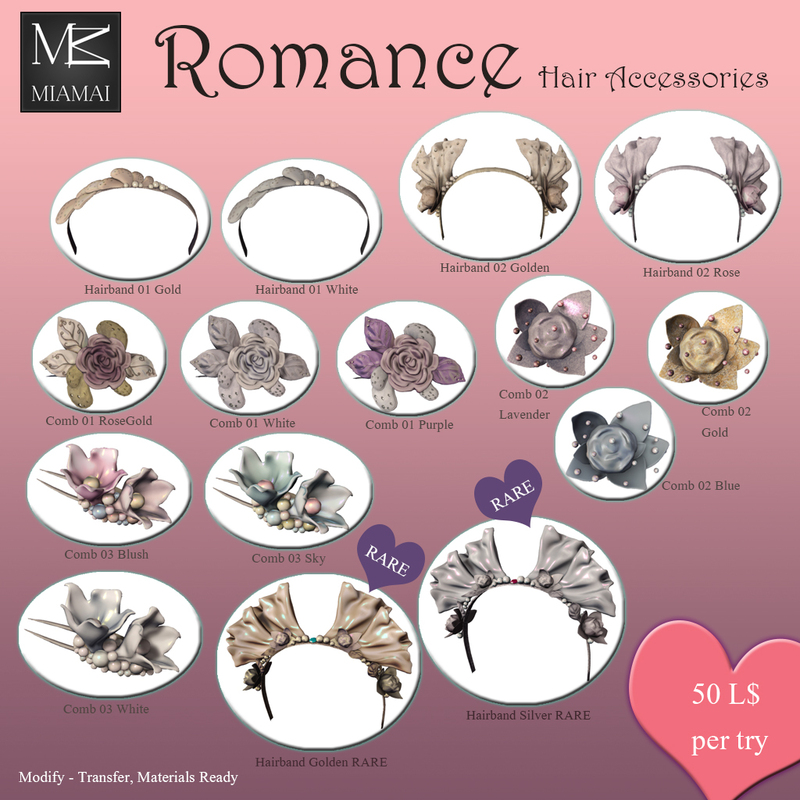 Lovingly crafted with flowers, pearls, ribbons, and cameos each hair comb is elegant and a romantic addition to your accessories. The Souvenir Combs Gacha has 12 commons and 3 rares that are transfer and modify so you can adjust them to your hairstyle. Shiny Shabby opens at 12 pm SLT on the 20th of February and closes on March 15th. 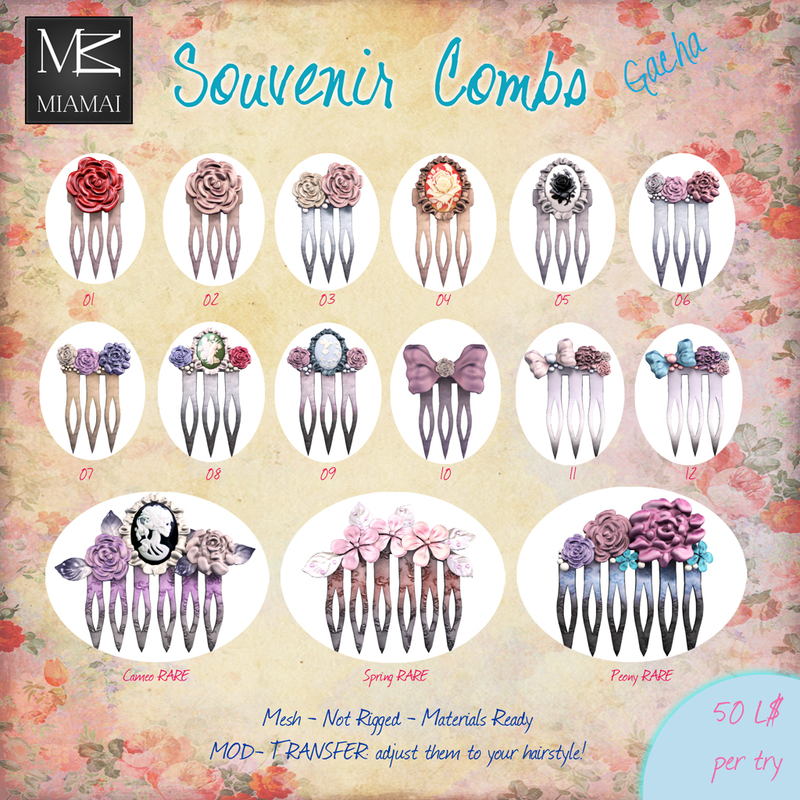 The Souvenir Combs are non rigged mesh, materials, and a 100% original creation by Miamai.